When it comes to the issue of diversity, what truly matters the most: that things look different, or actually are different? This is the crux of Joshua Harmon’s education-centred comedy-drama a recent hit in New York, which could have as its subtitle: ‘Privilege and Prejudice’. 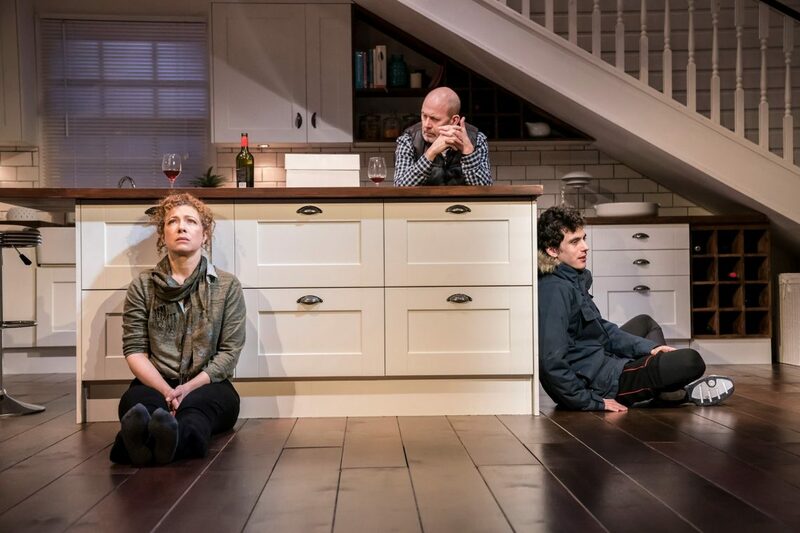 Joshua Harmon’s (Bad Jews) setting for this play is a progressive New Hampshire school where Sherri (Alex Kingston, of ER and Doctor Who fame), head of admissions, boasts of having increased the proportion of students of colour to 18%. The crisis comes when her son, Charlie (Ben Edelman), finds that his place at Yale has been deferred while his best friend, Perry, has been accepted. It so happens that Perry, with a white mum and biracial dad, is classified as black and this leads Charlie into a hysterical rant against all forms of positive discrimination. His parents are suitably appalled but are even more horrified when a penitent Charlie decides to expose the advantages enjoyed by his privileged caste. 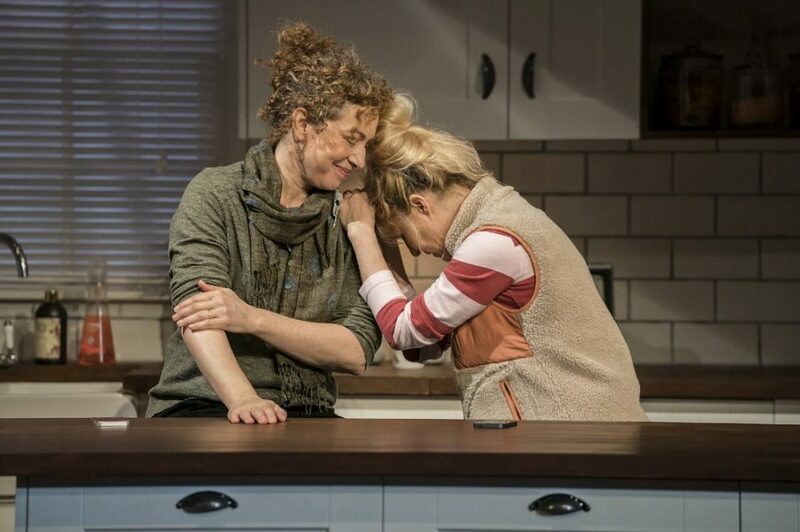 Sarah Hadland plays the mother of the successful candidate who is Sherri’s best friend and the drama is at its strongest when the 2 clash swords over the results of their respective sons’ Yale applications. When the relationship between Sherri and her best friend breaks down, you can see that the power of the silent message. Sometimes it’s not what you say, it’s what you don’t and sometimes it’s what you don’t challenge, and this is the issue that breaks their friendship completely. Edelman (transferred from the original off-Broadway production of the show) is strong as Sherri’s son Charlie Luther Mason and he lands some interesting points about white privilege and the hypocrisy of his mother who is prepared to pull every string she can to get him the education she thinks he deserves. His monologue in the kitchen was gripping and well presented to his parents sipping on their wine! 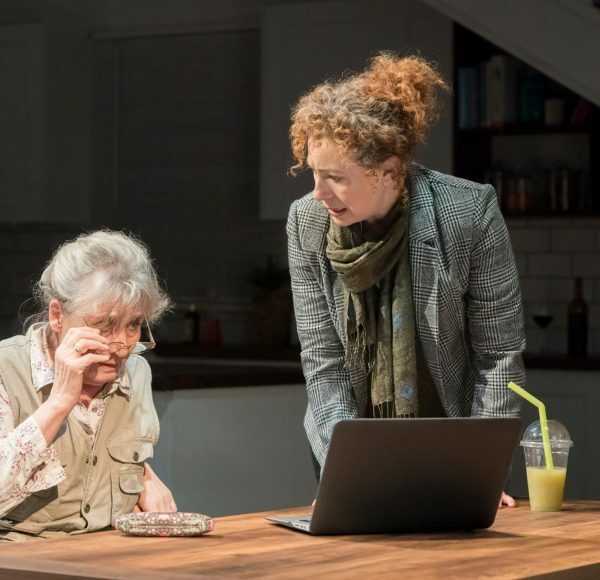 Margot Leicester gave a hilarious performance as that person trying to walk the line of meeting her manager’s objectives, meeting the Political Correctness agenda, and finding a way of making sense of the requests that were being put to her. The comedy of the situation was both brilliant and tricky to digest in equal measures. Andrew Woodall plays Sherri’s husband Bill and they work well together, a strong marital unit fighting injustice and celebrating successes, though the omission of their son in this picture is very visible, particularly from the relationship with his father. 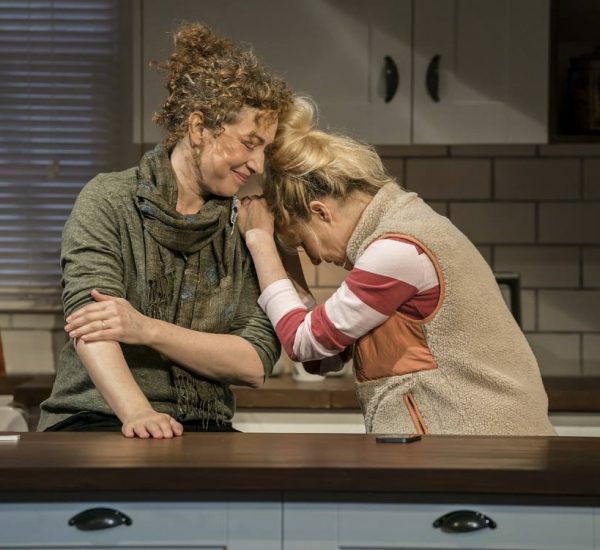 The performances across the board are strong, most notably from Alex Kingston who shares some agonising moments with the audience as we see her rearranging her thoughts and reactions to maintain her idealised image of herself. 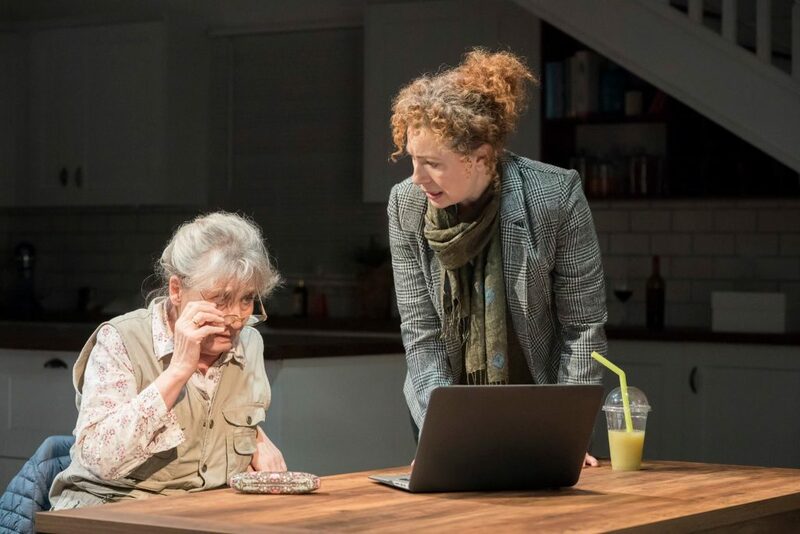 Until May 25 at The Trafalgar Studios then touring, for more information see online.